All of New York State is celebrating WorldPride in 2019, so after visiting New York City take a scenic train ride to Dutchess County to continue the festivities. Join us at the Roosevelts in Hyde Park to reflect on global human and civil rights. 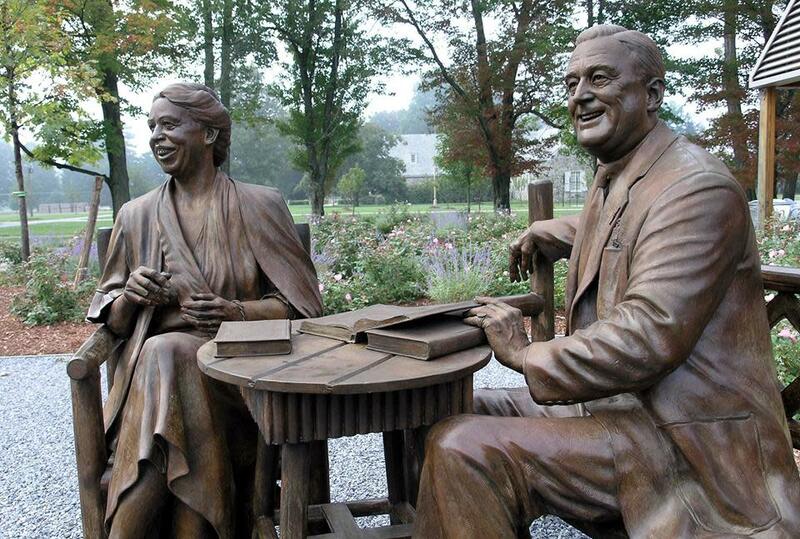 Begin the day with self-guided tours of the Home of President Franklin D Roosevelt National Historic Site, FDR Presidential Library and Museum and the Eleanor Roosevelt home at Val-Kill. Then join us for a Hot Dog Summit lunch, recreating the 1939 gathering with King George VI and Queen Elizabeth of England. Finish the afternoon with keynote speaker Blanche Wiesen Cook, distinguished Professor at CUNY's John Jay College and The Graduate Center and New York Times bestselling author, who will present on the life of Eleanor Roosevelt and her fervent devotion to civil and human rights movement. Traveling up from New York City? Discounted Metro-North Railroad train tickets and free shuttle buses from/to Poughkeepsie Station are available.